The interior is crafted from a single teak log, hand-picked in Thailand and shipped to the factory, to ensure that the grain, color and grade are consistent throughout the boat. 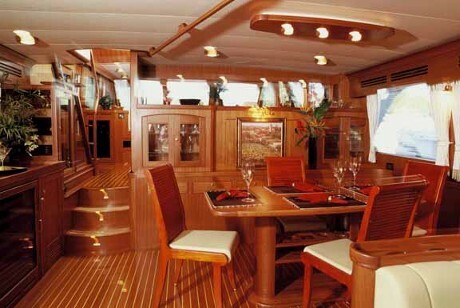 We have superb craftsmen who create one of kind pieces of furniture and specialized detailing for all of our yachts. Our signature overhead handrail is a complex and beautiful work of art in teak. 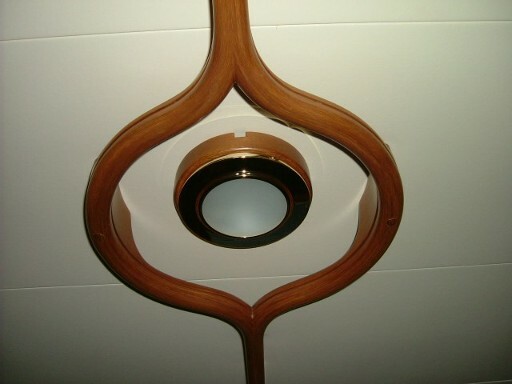 The door frames and molding reflect the quality and level of fit and finish found on very few yachts worldwide. It is found on every one of the Marlow Yahcts. Highly polished, finest quality stainless steel is used throughout every Marlow Explorer. We have designed a beautiful and functional oval handrail for more secure gripping and more substantial good looks. 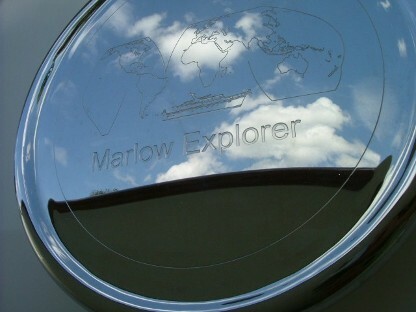 Our ship's bells, door handles and steering wheel centers are all laser engraved with the Marlow Explorer logo. The water fills are self-keyed for convenience and practicality. 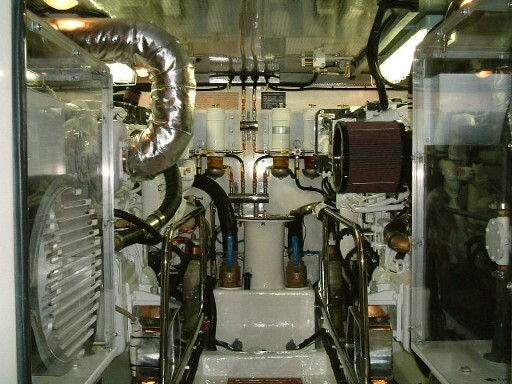 The engine room has full standing headroom, access to every piece of equipment and machinery without gymnastics, and a convenient and handsome workbench. It is accessed through a watertight door with a viewing port. All cables are neatly bundled, valves clearly labeled, plumbing color coded, gauges at eye level and plenty of light to work making this the ultimate "boys toy room", especially with the optional A/C. The exterior entertainment areas allow a large variety of amenities with a choice of gas or electric grills, ice makers, refrigerators and many different table and settee arrangements. 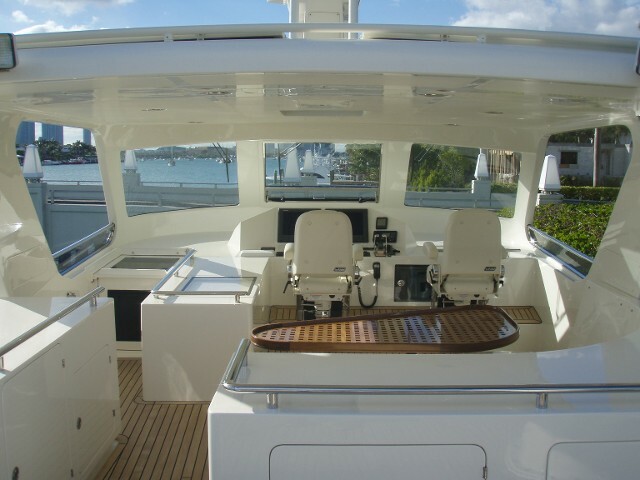 With the covered aft decks and flybridges, the possibilities are numerous. Seating for a crowd for an afternoon cookout or an intimate setting for two under the stars - it is your choice on any given day in almost any weather. The exterior installations of your appliances are as artfully concealed as the interior selections. This gives you a clean look with protection from the elements. Beautifully molded access doors and cabinets create a clean uncluttered look to the boat while protecting the components within. For extreme ease in getting out of the water, we have molded in a set of stairs below the swim platform that allows you to walk up rather than climb out of the water. Our day head is accessed from the exterior for privacy and because of its clever design it almost disappears into the superstructure. The fuel fills have built in catch reservoirs for any accidental drips keeping your deck free from diesel spills.